Many of these companies uses the same URL or similar names, but we discovered them and linked to real brands! Some of these brands only offers reseller accounts for domain registration (therefore not selling to end user), but many of them are also offering web hosting services. This list of Internet top-level extensions contains domains which are in the DNS root zone of the Domain Name System. The official list is maintained by the IANA (Internet Assigned Numbers Authority) at the Root Zone Database. IANA also oversees the process for new TLD's. From February 2017, the root domain contains 1528 TLD's and just few have been removed. Official Responses: 0 4 / 10 New Great Domains, Inc.
Official Responses: 0 5 / 10 Net Logistics Pty Ltd.
Official Responses: 0 1 / 10 Domain Central Australia Pty Ltd.
Enetica is now the second largest registrar of .au domains, and the fastest growing .au registrar. Enetica has a very extensive reseller network and provides a full range of domain services such as url, email and dns forwarding for both .au domains and gtlds. Official Responses: 0 1 / 10 Instra Corporation Pty Ltd.
Instra Corporation (Instra) is a privately owned company based in Melbourne, Australia. Formed in 1997, Instra has expanded its initial Domain Name business from New Zealand and Australia to become a leading world-wide Domain Registrar. Official Responses: 0 3 / 10 NetRegistry Pty Ltd.
Real URL http://www.bomboratech.com.au/registrar/ Bombora Technologies Pty Ltd.
Official Responses: 0 1 / 10 Bottle Domains, Inc.
Real URL https://australianopenwcs.com.au/event-details/ Netnames Pty Ltd.
Official Responses: 1 2 / 10 NameScout Corp.
Official Responses: 0 4 / 10 MainReg Inc.
Official Responses: 0 10 / 10 In2net Network Inc.
Official Responses: 0 9 / 10 Sibername Internet and Software Technologies Inc.
Official Responses: 0 4 / 10 Webnames.ca Inc.
Official Responses: 0 3 / 10 Namespro Solutions Inc.
Redirected to opensrs.com Tucows Domains Inc.
Official Responses: 0 9 / 10 PlanetHoster Inc.
Website seems down! BatDomains.com Ltd.
Official Responses: 1 2 / 10 Rebel.ca Corp.
https://www.netcn.net Beijing Midwest Taian Technology Services Ltd.
Xiamen Mimei Technology Co., Ltd.
Beijing Zhuoyue Shengming Technologies Company Ltd.
https://www.55hl.com Jiangsu Bangning Science & technology Co. Ltd.
Zhengzhou Business Technology Co., Ltd.
Hangzhou Newdun Network Technology Co., Ltd.
Hangzhou Dianshang Internet Technology Co., LTD.
Chengdu Fly-Digital Technology Co., Ltd, was established in 2002, enjoying the first in the development of ICP qualifications，offering services like Domain Name Registration, Web hosting, email hosting service, Virtual Private Server and Independent Hosting services. Not offering webhosting products! Beijing Aidi Tong Lian Technology, LLC. Redirected to qy.com.cn Maoming QunYing Network Co., Ltd.
Guangzhou Ehost Tech. Co. Ltd.
Official Responses: 0 1 / 10 Bizcn.com, Inc.
(15 duplicate entries) / Other URL used! / Other NAMES used! Shanghai UCloud Information Technology Co., Ltd.
DOMIAN NAME NETWORK PTY LTD is a domain name registrar company in australia. https://dudns.baidu.com/ Beijing Baidu Netcom Science Technology Co., Ltd.
Real URL https://brandma.com/ Beijing Brandma International Networking Technology Ltd.
Real URL https://www.xdns.cn/ Beijing Guoxu Network Technology Co., Ltd.
https://www.wangzun.com Beijing Wangzun Technology Co., Ltd.
https://www.zxnic.cn/ Fuzhou Zhongxu Network Technology Co., Ltd.
Registrar for domainers. New customers accepted only if referred from an already existing customer. Min. portfolio size 1K domains. https://www.cndns.cn/ Henan Weichuang Network Technology Co. Ltd.
https://www.hooyoo.com HooYoo Information Technology Co. Ltd.
https://www.3568.cn/ JIANGSU CHENGFUTONG NETWORK TECHNOLOGY CO., LTD.
https://knetreg.cn Knet Registrar Co., Ltd.
https://www.chinacloudhost.com SHANGHAI XIAOLAN NETWORK TECHNOLOGY CO., LTD.
https://www.cnkuai.com Tianjin Zhuiri Science and Technology Development Co Ltd.
https://www.wjbrands.com WangJu Brands Management Co., Ltd.
Xiamen Dianmei Network Technology Co., Ltd.
https://www.micang.com Xiamen Niucha Technology Co., Ltd.
DanDomain A/S at http://www.dandomain.dk is now celebrating more than 15 years of online business towards bringing domain names and hosting products to consumers with a high level of service standards as a goal. LWS is a french web hosting provider, specialised in web hosting and domain name registration since 1999 and hosts more than 140,000 websites and domain names. When domainnamebuyers.com was still independent, it mentioned ICANN accredited Registrar Secura (www.domainregistry.de) from Cologne in Germany among the best registrars of the world. INWX is a Domain Registrar from Berlin, Germany with more than 300,000 domains under management. Official Responses: 0 4 / 10 0101 Internet, Inc.
Ourdomains Limited established on 28 April 2011 in HongKong as a wholly owned subsidery of Hangzhou AiMing Network Co., LTD，which have provided domain name registration and other relevant business services from Dec. 2008. Redirected to xz.com ! #1 Host Israel, Inc.
Real URL http://www.51web.com/ Century Oriental International Co., Ltd.
Redirected to xz.com DomainName Bridge, Inc.
https://dnsgulf.com Hongkong Domain Name Information Management Co., Ltd.
Website seems down! Tname Group Inc.
(51 duplicate entries) / Other URL used! / Other NAMES used! Official Responses: 0 4 / 10 Tirupati Domains and Hosting Pvt Ltd.
Official Responses: 2 4 / 10 ZNet Technologies Pvt Ltd.
Redirected to galcomm.co.il SiteName Ltd.
neen specialises in the provision of data-centre solutions and services, leveraging its longstanding experience in the fields of high-availability managed services and performance hosting. Redirected to psi-japan.com PSI-Japan, Inc.
Redirected to iq-servers.com Mfro Inc.
Discount rental servers, hosting, FLET'S ADSL and B FLET'S ADSL access with fixed IP addresses. FirstServer is one of the leading web hosting companies in the Japanese market and has been providing total web hosting solutions since 1996. FirstServer provides integrated services composed of web hosting, domain registration and SaaS. Official Responses: 2 1 / 10 GMO-Z.com Pte. Ltd.
Not offering webhosting products! Dai Nippon Joho System Co., Ltd.
Not offering webhosting products! JPRS Registrar Co., Ltd.
Redirected to ultra-domain.jp Nakazawa Trading Co.,Ltd. https://www.skyclear.co.jp/ Sky Clear Co., Ltd.
Not offering webhosting products! Cosmotown, Inc.
(3 duplicate entries) / Other URL used! / Other NAMES used! Megazone Corp. is very huge web agency Company, No. 1 in Korea and operating "Online Marketing & Promotion", "3D & Motion", "Domain & Hosting", "eCommerce" and "Web Portal Service". Redirected to ksidc.net Korea Server Hosting Inc.
Official Responses: 0 10 / 10 KuwaitNET General Trading Co.
Not offering webhosting products! eBrand Services S.A.
EuroDNS (https://www.eurodns.com/) has been managing domain names for our customers since 2002, and is an ICANN accredited domain registrar; this means we are licensed to register domain names directly with the world's domain registries. Not offering webhosting products! Wingu Networks, S.A. de C.V.
Official Responses: 2 5 / 10 Neubox Internet S.A. de C.V.
Network Information Center, S. A. de C. V.
Akky is the NIC México Division, in charge of providing customized attention to clients who are interested in placing your project, your company name or idea on the Internet through a domain name. Among their main functions are, to supply different services related to the management of domain names. Not offering webhosting products! The Registrar Company B.V.
Not offering webhosting products! Mijn InternetOplossing B.V.
Redirected to freenom.com OpenTLD B.V.
Not offering webhosting products! AC Webconnecting N.V.
Not offering webhosting products! Porting Access B.V.
Official Responses: 0 9 / 10 Realtime Register B.V.
Official Responses: 0 3 / 10 TransIP B.V.
Redirected to gesloten.cw Gesloten Domain N.V.
Not offering webhosting products! Nicco Ltd.
Redirected to bigrock.com Cheap Domains Pte Ltd.
Official Responses: 9 1 / 10 Web4Africa Inc.
Web4Africa is the leading accredited registrar in Africa. Official Responses: 0 9 / 10 Diamatrix C.C. Official Responses: 0 2 / 10 Abansys & Hostytec, S.L. Official Responses: 0 7 / 10 Interdominios, Inc.
Official Responses: 0 3 / 10 Dinahosting s.l. Official Responses: 0 10 / 10 Nominalia Internet S.L. Official Responses: 0 9 / 10 10dencehispahard, S.L. 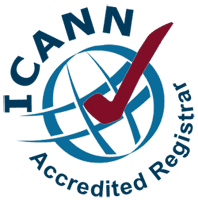 DotArai Co., Ltd. is the first ICANN accredited registrar in Thailand. The company provides not only name registration, but also the security of your domains. You can get the support via e-mail or phone both in Thai and English languages. Headquartered in Turkey Alantron is dedicated to provide innovative and easier domain name registration services to individuals and organizations via its state-of-art control panels. Official Responses: 0 10 / 10 FBS Inc.
(4 duplicate entries) / Other URL used! / Other NAMES used! Domainbox.com is a wholesale provider of domain name registration and management. Domainbox is based in UK, with offices in USA and Europe. Domainbox prides itself on it\'s easy to use, feature rich API and selection of TLDs. Total Web Solutions, based in Manchester, United Kingdom, has grown over the years to become one of the leading domain and hosting providers in the UK. Offering Internet services not just to UK customers but to the Internet community all over the world. Not offering webhosting products! TLD Registrar Solutions Ltd.
Official Responses: 0 3 / 10 LiquidNet Ltd.
Lexsynergy is a global domain name management and online brand protection company specializing in complex markets. Paragon Internet Group Ltd provide Domain Registration services in over 300+ gTLD and ccTLDs extensions, Cloud Hosting, Reseller Services, Fully Managed Dedicated solutions and Private Cloud from our own Tier-3+ Datacentre in Slough, UK. Astutium Ltd, est 1996. UK based Internet Service Provider offering Domain Name Registration in over 1000 gTLDs and ccTLDs along with Web Hosting, Reseller Hosting, Fully Managed Dedicated/Virtual/Cloud Servers, Private Enterprise Clouds and Managed Colocation from our Tier-3 London Datacentres. Official Responses: 0 3 / 10 SafeNames Ltd.
Official Responses: 0 6 / 10 LCN.COM Ltd.
LCN.com is a subsidiary of Advantage Interactive Ltd.
LCN is one of the fastest growing registrars of domain names in the UK. Established in 2000, LCN provides domain name registration, web hosting solutions and dedicated server rental at very competitive prices. (17 duplicate entries) / Other URL used! / Other NAMES used! (42 duplicate entries) / Other URL used! / Other NAMES used! Website seems down! Digital Candy, Inc.
(49 duplicate entries) / Other URL used! / Other NAMES used! (6 duplicate entries) / Other URL used! / Other NAMES used! Rethem Hosting is a custom and specialized hosting provider. Not offering webhosting products! Name Share, Inc.
Redirected to name.com Name.net, Inc.
Not offering webhosting products! Brandsight, Inc.
Not offering webhosting products! NameKing.com Inc.
DomainContext offers 50+ TLDs on fully customizable webpanel for domain resellers, discount and special pricing management, billing and finance automation with integrated document flow, easy integration with payment systems, free nameservers and web-forwarding. Redirected to hello.co Hello Internet Corp.
Not offering webhosting products! NCC Group Secure Registrar, Inc.
Official Responses: 0 1 / 10 DomainName, Inc.
Why would you go anywhere else? DomainName.com since 1997. Official Responses: 0 1 / 10 EnCirca, Inc.
Redirected to name.com DomainSite, Inc.
Official Responses: 0 3 / 10 Register4Less, Inc.
At-Cost Domain Registrations, Renewals, and Transfers. Catalog.com, Inc.is a Web Hosting Services Provider specializing in E-commerce Solutions. Official Responses: 3 2 / 10 Misk.com, Inc.
Official Responses: 0 3 / 10 GKG.NET, INC.
Official Responses: 0 2 / 10 NameSecure L.L.C. Official Responses: 0 5 / 10 FastDomain Inc.
Official Responses: 0 10 / 10 Webair Internet Development, Inc.
Inactive / Redirected Launchpad.com Inc. Full-service Registrar and Hosting Provider based in Bellevue, WA. Tiger Technologies offers affordable, reliable Web hosting services that include a domain name at no additional charge. Official Responses: 0 10 / 10 Domain-It!, Inc.
Not offering webhosting products! Corporation Service Company (DBS) INC.
Official Responses: 0 2 / 10 DNC Holdings, Inc.
Official Responses: 0 1 / 10 OnlineNIC, Inc.
(18 duplicate entries) / Other URL used! / Other NAMES used! Dynadot is a leader in low cost domain registration and management. (5 duplicate entries) / Other URL used! / Other NAMES used! Official Responses: 0 3 / 10 Register.com, Inc.
Official Responses: 0 1 / 10 Oracle America, Inc. Dynamic Network Services Incorporated/DynDNS is a premier provider of domain registration and management services to the community of the Internet since 1998. It today accounts more than two million users and offers generic, content-specific and country-code TLDs. Official Responses: 0 1 / 10 ! #1 Host Australia, Inc.
Official Responses: 0 1 / 10 NameCheap, Inc.
Real URL https://aws.amazon.com/route53/ Amazon Registrar, Inc.
Website seems down! Aahwed, Inc.
Brennercom Limited offers domain registration and brand protection services. Website seems down! DOMAIN TRAIN, INC. Minds + Machines Registrar Limited, a wholly-owned subsidiary of Top Level Domain Holdings Limited, the only publicly-traded portfolio New gTLD Program participant, is dedicated to providing the highest levels of domain name registrar services to consumers for new and existing TLDs. Real URL http://www.RegistrationTek.com/ NameStream.com, Inc.
Redirected to turkticaret.net Reg2C.com Inc.
TURKTICARET.Net bir Reg2c.com Inc. firmasıdır. Real URL http://www.RegistrationTek.com/ SaveMoreNames.com Inc.
https://smallworldregistrar.com/ Small World Communications, Inc.
https://tropicregistry.com/ Tropic Management Systems, Inc.
Verelink Incorporated is a server solutions company dedicated to providing quality services for those who wish to develop an Internet presence. We offer many services related to software creation, web development, server solutions, and domain registration to drive business needs. Nhan Hoa Software Company Ltd. Established in 2002 when Vietnam’s Information Technology (IT) made their first steps, Mat Bao had only 5 staffs and started designing website and developing software according to customers’ requirements. Today, Mat Bao was known as the most famous and biggest IT services company in Vietnam. P.A Viet Nam Company Limited founded in 2001. Up to now, we are always leading company in domain registry and web hosting in Vietnam.